This product is Custom Fit for your. 1997 - 2006 Jeep Wrangler. 2004 - 2006 Jeep Wrangler Unlimited. Set: 1st & 2nd Row 2-pc. Features a high lip to hold liquids. The WeatherTech® DigitalFit® FloorLiner is known worldwide as the premier automotive accessory for keeping your vehicle's interior protected. Designed and engineered using cutting-edge digital scanning and CAD technology, each Liner accurately and completely covers the interior floor space of your vehicle, providing absolute interior protection. Each Liner is composed of a proprietary High-Density Tri-Extruded (HDTE) Thermopolyolefin (TPO) blend that provides total in-vehicle stability, a tactile surface texture, and incredible durability. Precisely placed surface channels and grooves also help minimize fluid movement while driving and carry fluids and debris away from shoes and clothing to be easily removed over the door sill... Our investment in cutting edge technology and high-quality materials ensures the superior product quality that our customers have come to expect, and represents our commitment to excellence in everything we do at WeatherTech®. Where Technology and All Weather Protection meet! Please choose the 2nd day or Overnight option if you need your products faster. Other WeatherTech products you may be interested in. Looking for more of the world's highest quality automotive accessories? We're proud to offer a full line of custom and universal accessories to protect virtually every part of your vehicle. The item "WeatherTech FloorLiner for Jeep Wrangler 1997-2006 All Trim Levels Black" is in sale since Friday, November 11, 2011. This item is in the category "eBay Motors\Parts & Accessories\Car & Truck Parts\Interior\Floor Mats & Carpets". 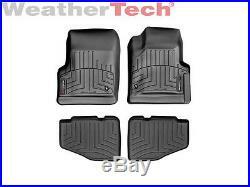 The seller is "weathertech" and is located in Bolingbrook, IL. This item can be shipped to United States, Canada, United Kingdom, Denmark, Romania, Slovakia, Bulgaria, Czech republic, Finland, Hungary, Latvia, Lithuania, Malta, Estonia, Australia, Greece, Portugal, Cyprus, Slovenia, Japan, Sweden, South Korea, Indonesia, Taiwan, South africa, Thailand, Belgium, France, Hong Kong, Ireland, Netherlands, Poland, Spain, Italy, Germany, Austria, Bahamas, Israel, Mexico, New Zealand, Philippines, Singapore, Switzerland, Norway, Saudi arabia, Ukraine, United arab emirates, Qatar, Kuwait, Bahrain, Croatia, Malaysia, Brazil, Chile, Colombia, Costa rica, Dominican republic, Panama, Trinidad and tobago, Guatemala, El salvador, Honduras, Jamaica, Antigua and barbuda, Aruba, Belize, Dominica, Grenada, Saint kitts and nevis, Saint lucia, Turks and caicos islands, Barbados, Bangladesh, Bermuda, Brunei darussalam, Bolivia, Ecuador, Egypt, French guiana, Gibraltar, Iceland, Jordan, Cambodia, Cayman islands, Liechtenstein, Sri lanka, Luxembourg, Macao, Martinique, Maldives, Nicaragua, Oman, Peru, Pakistan, Paraguay, Reunion, Viet nam, Uruguay.